It has literally taken my kids a million years to decide that salad for dinner is pretty tasty! However, I’ve actually had a hard time finding my own salad recipes on my blog! So, there is a new category in town- Salads and Vegetable Side dishes! After my sister wakes up this morning (because she does all my tech stuff on the blog) it will also have it’s own recipe page. The recipe I’m always looking for is our Spinach Poppy Seed Salad. But it’s buried in some old files, split between two, that don’t feed into the blog categories or recipe pages. 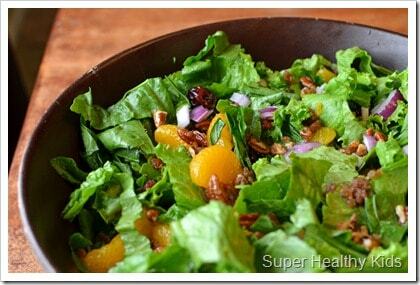 But this salad is one of my favorites and most kids will eat it, so I’m always looking for it. I even had a ten year old neighbor a few years back that would actually ask me if we had any of this salad that he could eat. Most kids are asking for my string cheese or pretzels.. ha ha. Not this kid. Spinach Salad! So, I took a picture of this one that we made yesterday and took to our Thanksgiving dinner at my in-laws. Pour dressing over entire salad just before serving. 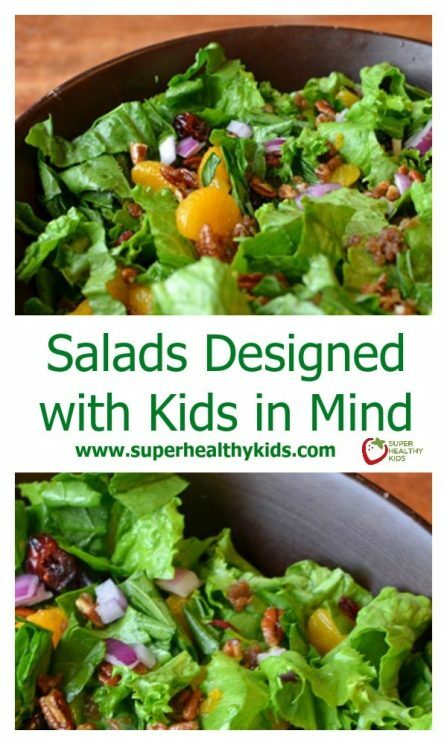 There are so many amazing salads beyond a Chef’s Salad, that I think kids will totally go for. So, along with more vegetable recipes, I’m going to start posting a lot more salads that get a thumbs up from my family! Oh, I am excited for your new category. I am always looking for side dish recipes. Your timing is perfect. I told my husband last week we need to eat more salads. 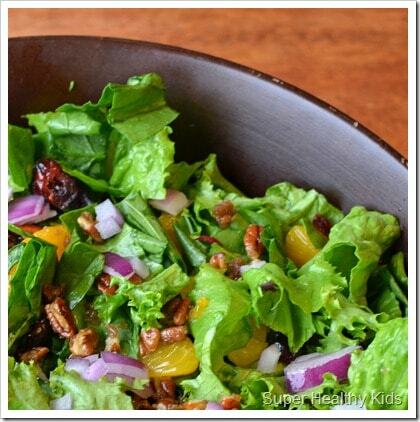 This salad is one of my favorites, too! I love how open-ended it is–you can add any fruit (we love strawberries from the garden in the summer!) or any nuts or use any types of greens that you like or have on hand. One that my kids enjoy! Love this new category. Can’t wait to see what else you’ll share!